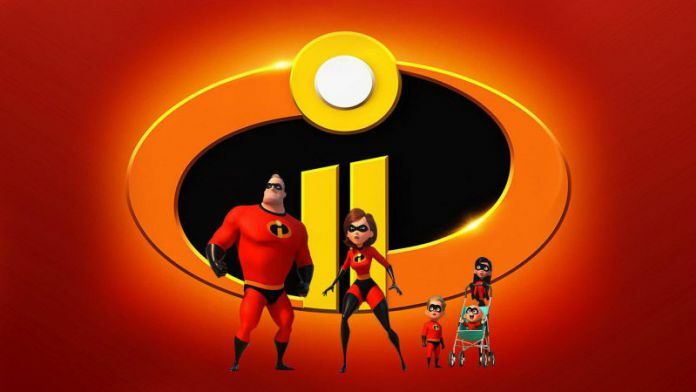 Tony's Talking Pictures Blog: New in Theaters for June 15, 2018 - "Incredibles 2" and "Tag"
New in Theaters for June 15, 2018 - "Incredibles 2" and "Tag"
Based on a true story, a small group of former classmates organize an elaborate, annual game of tag that requires some to travel all over the country. 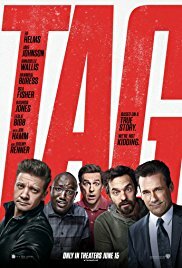 “Tag” is a silly, summer fun film aimed at adults. The storyline is as simple as the rules of tag, but there's something wonderfully exuberant about the way Jeremy Renner. Ed Helms and the cast approach their roles. What could have ended up being another soulless frat-house film ends up to be a likable summer distraction. “Tag” gets a B and is rated R.
In a reversal of roles, superhero 'Mr. Incredible' is left home to watch and care for the kids as his wife, 'Elastic Girl,' is off saving the planet. “Incredibles 2” offers up bright and energetic animation, but the film lacks the humor and angst of the first film. The movie is simply a change of roles for the two lead characters with little support from the plot. And although there are some good moments in the film, those moments are brief and few. “Incredibles 2” ends up feeling like another TV situation comedy, instead of the high-energy, smartly written and satisfying sequel we all waited for for 14 years.